In a precedent setting court-case, the EU Court of Justice has ruled that the selling of media players that are tailored towards the streaming of pirated material is a crime. 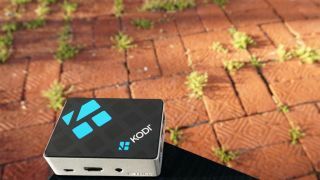 There has been a surge recently in the sale of multimedia boxes that use software like Kodi that can stream media from numerous different sources. When used correctly, they are a brilliant way of collating numerous different media sources into one place for a new level of home entertainment. Unfortunately, these brilliant pieces of kit are easy to manipulate as they are open source, so pirates wanting to stream copyright-infringing content can use the boxes to stream direct to home entertainment setups. This has lead to a market in preloaded devices, sold specifically for the purpose of allowing people to access pirated material. End of the stream dream? Up until this point, such devices have technically been legal even though piracy is not, as the devices are legal so selling them has not been classified as a “communication with the public” which is the legal classification for what constitutes an infringement. What this new ruling finds is that because the boxes are marketed specifically for their free-to-watch streaming capabilities, that it does constitute a “communication with the public” and so the sale of these boxes is illegal, reports TorrentFreak. What this will mean for the future of sale and ownership of these devices is unclear, but we wouldn’t be surprised it there were celebrations happening in the offices of the Motion Picture Association of America today.